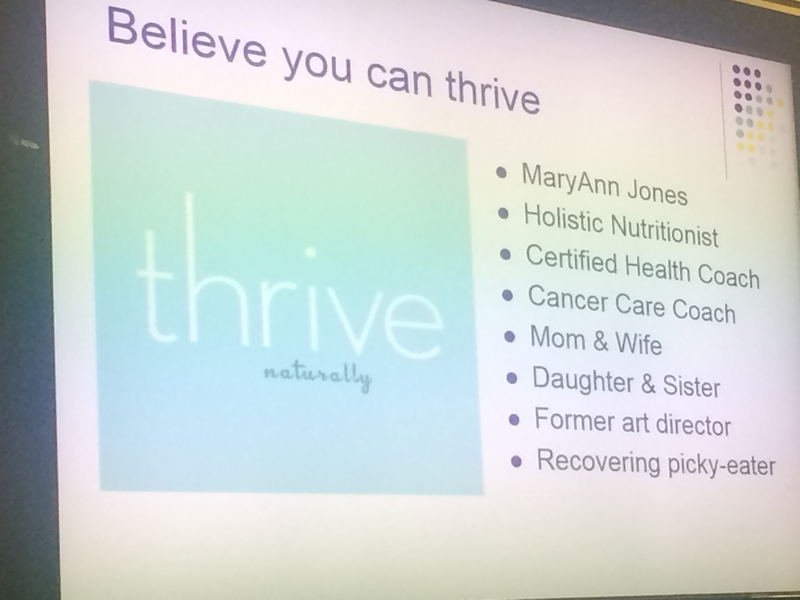 Last week as part of the Patient Empowerment Program we welcomed a guest lecturer, MaryAnn Jones of Thrive Naturally TM, who talked about unleashing our health potential through goal setting, inspiration and practical tools. It was a full house; reflective of the interest we all have in taking charge of our health, and MaryAnn’s commitment and passion was experienced by all the attendees. Drawing from a wealth of knowledge as a Holistic Nutritionist, Certified Health Coach and Cancer Care Coach, MaryAnn shared valuable wellness information that we can all use to be more healthy. These “Be Informed” lectures provide our patients with accurate information with which to make informed choices and to be aware of issues that are relevant to their recovery and sustained health. Focusing on the areas over which we have control is critical to our well-being, particularly in the face of coping with breast cancer. MaryAnn’s messages about making healthy choices were very practical and helpful for the group. We were given simple advice and tools to be able to make incremental changes in our diet and lifestyle that will improve healing and increase our long-term health. Thrive Naturally is a holistic wellness company that creates and delivers wellness programs and materials for the workplace, groups and charitable organizations. Built on the premise that we all have unlimited potential to thrive, MaryAnn offers support, inspiration, awareness and attention to motivate action toward health goals. MaryAnn’s own personal journey toward wellness is ongoing. To learn more about thriving naturally or to receive MaryAnn’s daily inspiration to thrive, visit the Thrive Naturally Facebook page. 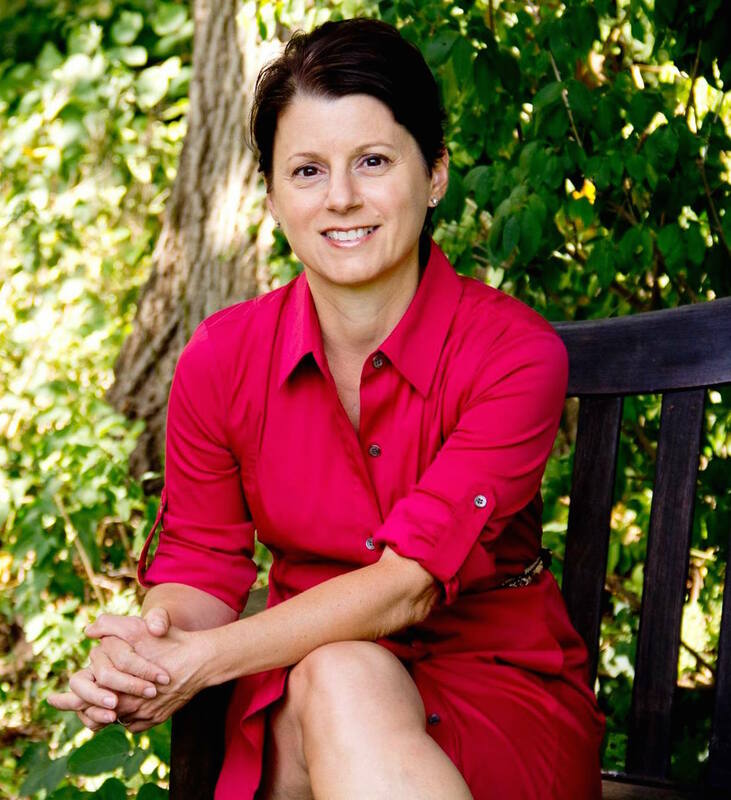 We look forward to having MaryAnn return January 18th to present on Nutrition.